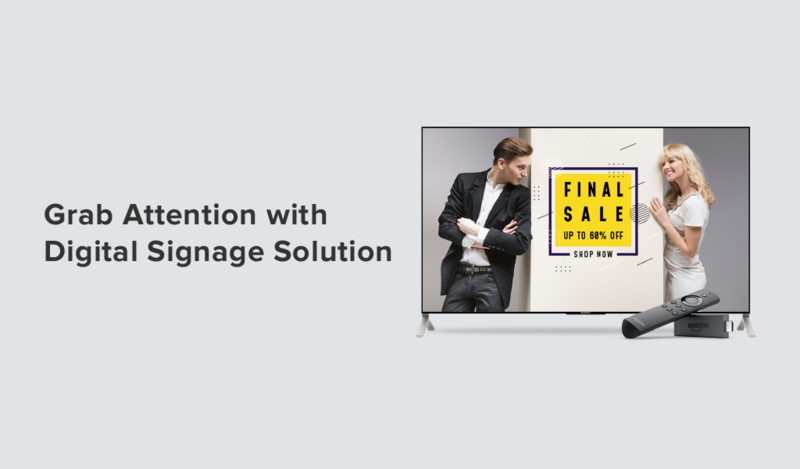 Voolsy Screen is a cloud based most effective dynamic signage for display of your multimedia content. 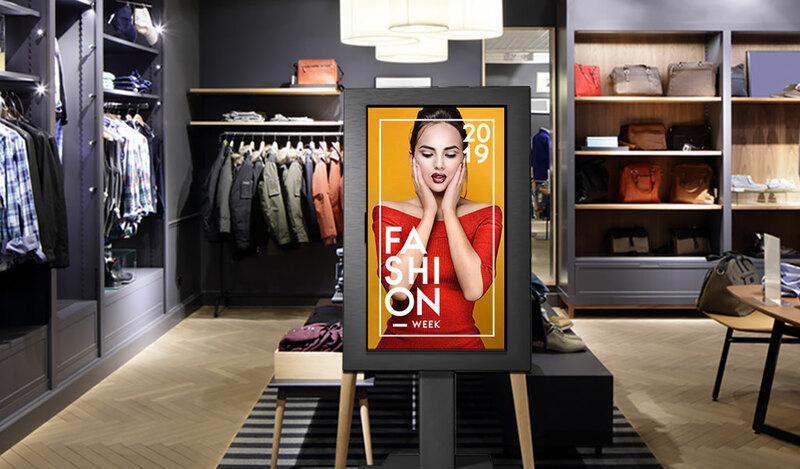 Be it a retail, corporate or automotive, our digital signage system helps you bring liveliness in your marketing efforts for your brand. 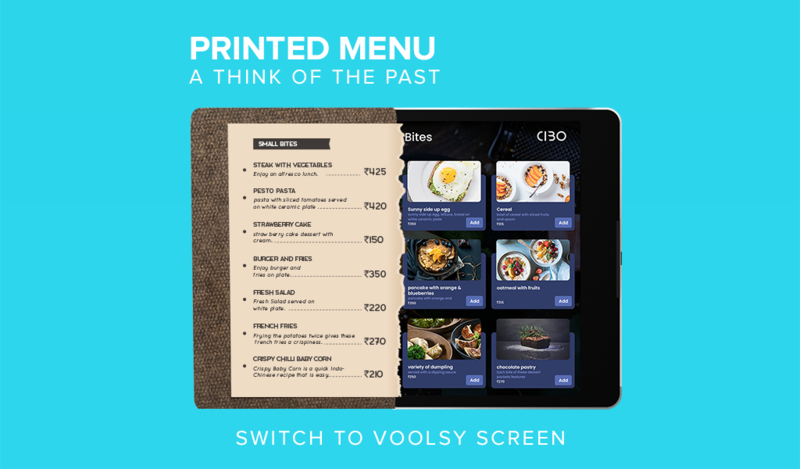 How to Use Voolsy Screen? 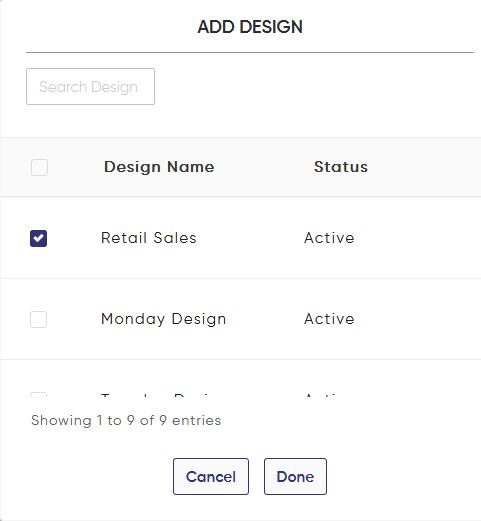 To add designs, tap on ‘Create Design’ under the Design section. 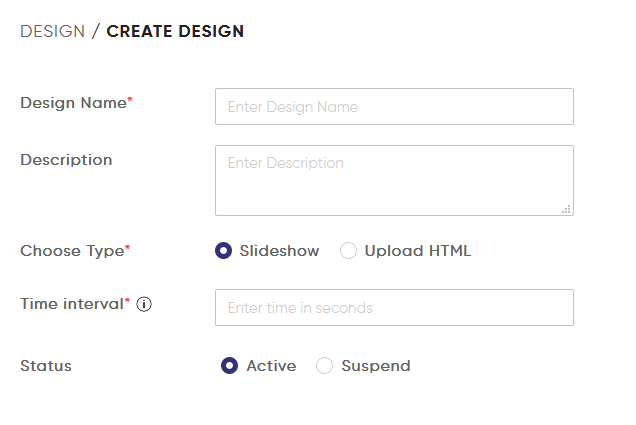 Add images, videos or interactive HTML into the console to create the design as per your need. If you are running a slideshow, specify the time interval between images in seconds. You can either upload new media or use a previously uploaded one. Any media (image or video) once uploaded is stored in the system and can be reused again. Create a playlist by tapping on ‘Create Playlist’ under the Playlist section. 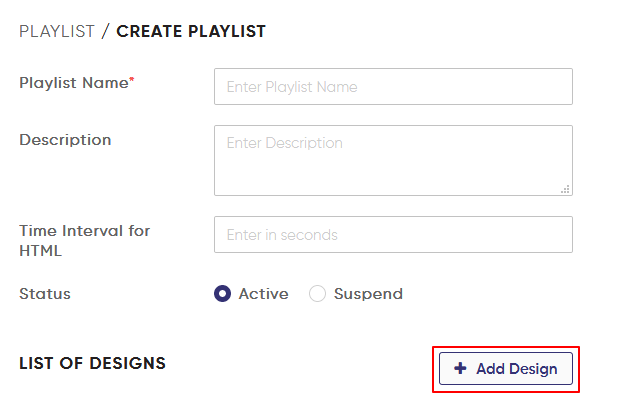 A playlist is created by adding a series of designs. You can add as many designs as you want under one playlist and define the sequence of playing it. Enter the name and description of the playlist. If there is an HTML, define the time you want HTML to stay on screen. 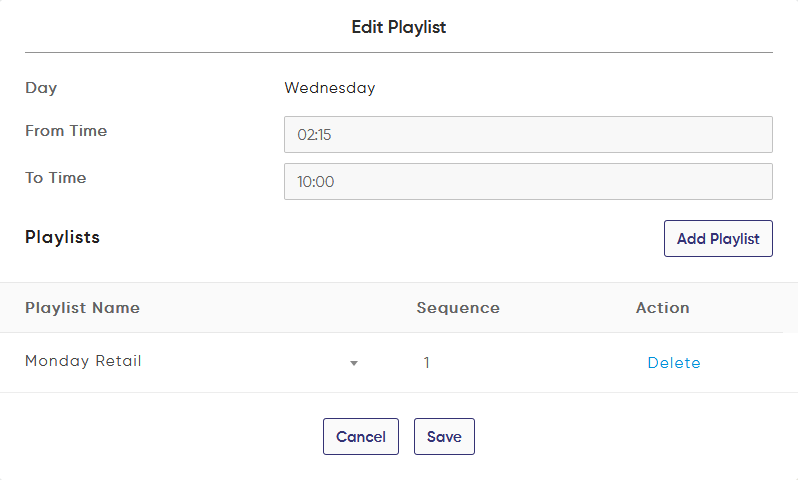 Our system lets you schedule the playlist with the calendar view in two ways. You can have a regular scheduler or an event-based scheduler. 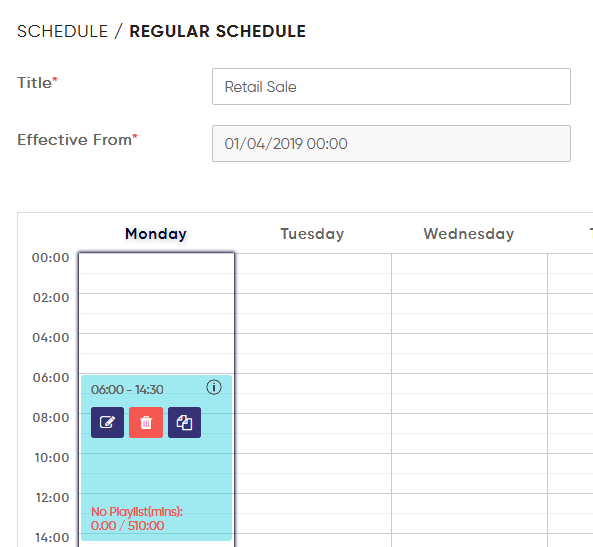 Regular Schedular –With this kind of scheduler, the content will play on a weekly defined schedule. E.g. : A restaurant can schedule its regular menus based on day times they are being used. Event based schedular – With this kind of scheduler, the content will play for specific time period only. E.g. : Restaurants might decide to have a special menu on Halloween. To add a schedule, tap on ‘Create Schedule’ under the Schedule section. Enter the name and description and tap on ‘Add Scheduler’. Select from ‘Regular’ or ‘Event’ based scheduler as per your need. Select the day from the calendar displayed. Add the playlist to the scheduler by tapping on the icon with a pen. Voolsy Screen works will all kinds of Android devices – Android TVs, Android box, Android Tablets or Amazon Firestick. If you have any queries on the supporting hardware, please feel free to reach us at support@voolsyscreen.com. To setup the device, download the app ‘Voolsy Screen’ into the device. Upon download, you will see a unique code displayed in the device that needs to be added into the console to pair the device with the system. In the console, under the Device section, you can add device with needed details (name, description and device orientation). 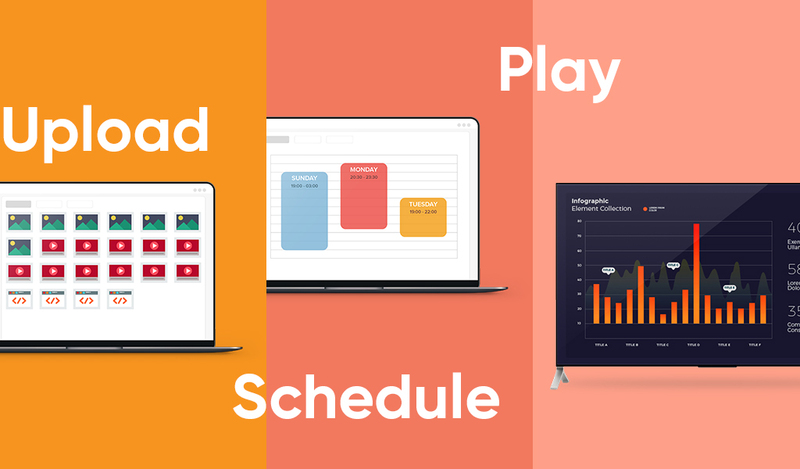 Select the schedule that you wish to play in the specific device. 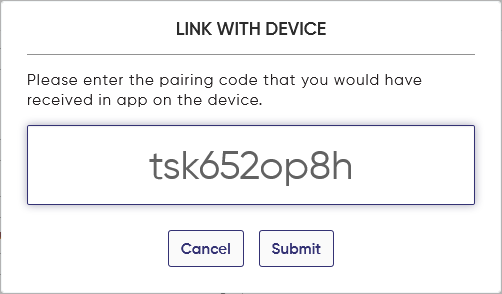 By tapping on ‘Save & Link Device’, you will be asked to add the pairing code to link the device to the Voolsy Screen console. One can also create a group of devices to play the same playlist under the ‘Group Device section’. Simply tap on ‘Create Group’ and add devices to the group. Just a few steps and you are good to go. The setup is quick and the system can go live in a matter of a few minutes.